Emphasis on the word rustic because I rushed and had no time to make the edges look perfect so let's just give it a fancy name. Oh and Hello! I hope everyone had a great weekend. I've had a very busy week, and I'm sorry for the lack of presence, I'm slowly catching up on reading all your blogs! This tart is very easy to make. Trust me, baking is not something I'm very good at. 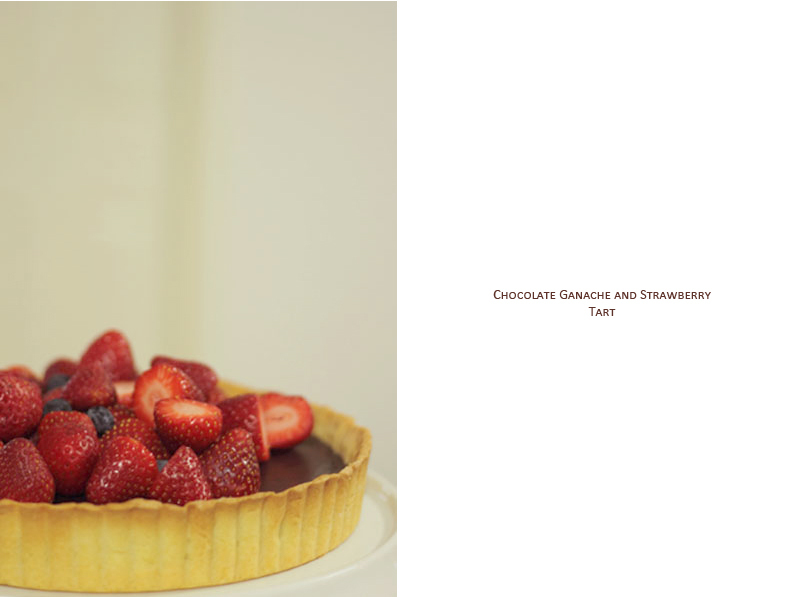 Chocolate, strawberries, sweet shortcrust pastry - cannot go wrong here. This recipe is adapted from the Bake Essential Companion by Alison Thompson. I like to do this dough by hand, you can still use an electric mixer if you like. 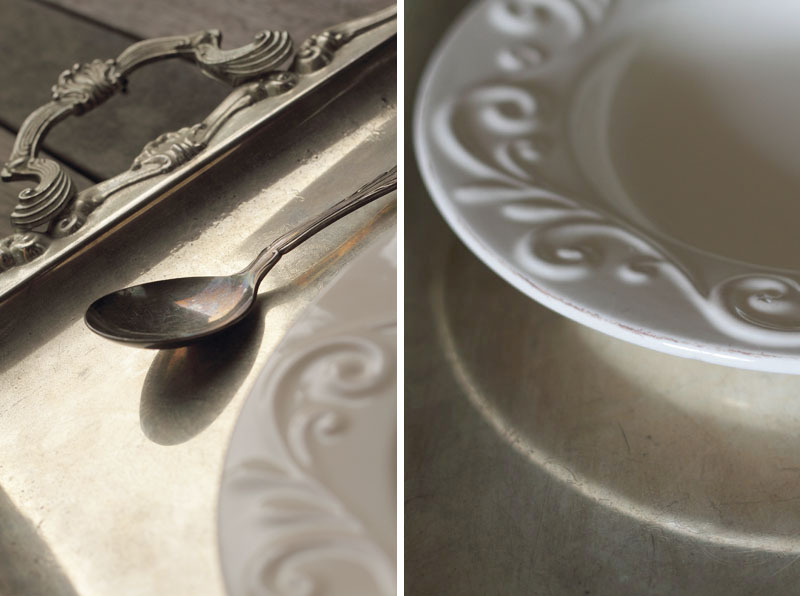 Sift flour onto a work surface or into a large bowl. Add the sugar, salt and butter. 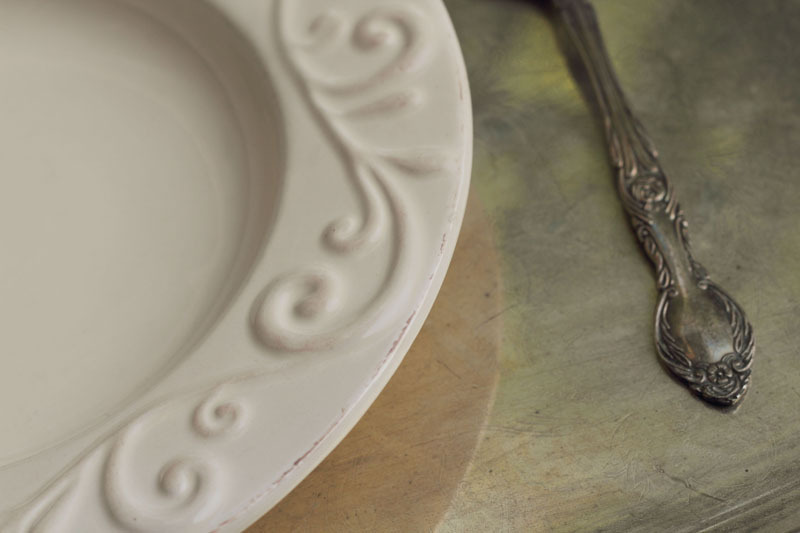 Using your fingertips, rub the butter into the flour until there are no lumps of butter visible. Make a well in the centre and add the egg yolks, and mix together with your hands until a dough forms. Wrap the dough in a cling wrap and refrigerate for at least 2 hours before using. You can also freeze up to 1 month. 1. Roll out the pastry on a lightly floured work surface, then use it to line a 25cm tart tin. Refrigerate for at least 30 mins. 3. Blind bake the tart case for 15 mins, then lift out the blind baking weights and bake the case for a further 10 mins, until golden. Set aside to cool. 4. Ganache: Bring the cream to the boil, then pour it over the chocolate, add the glucose and butter, and stir until smooth. 5. Pour the chocolate ganache into the tart case, and chill for 2 hours. 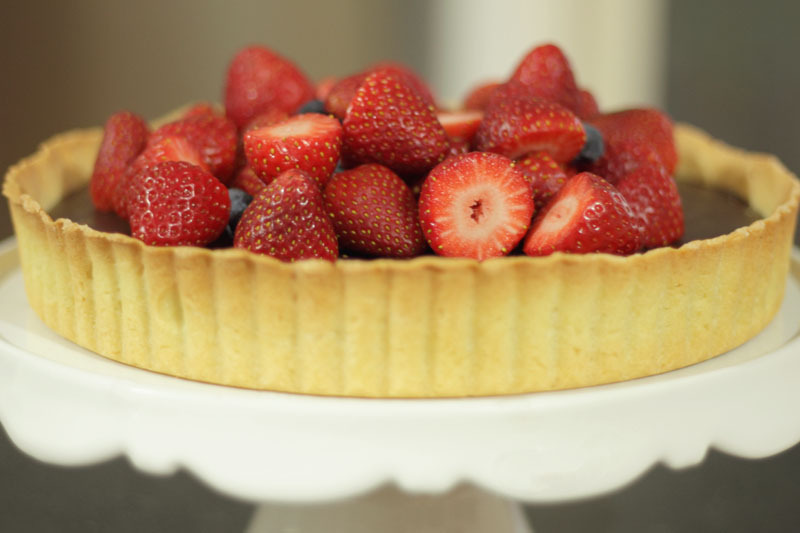 Pile the fresh strawberries onto the top of the tart to serve. Let me know if you try this recipe! Hope it goes well. 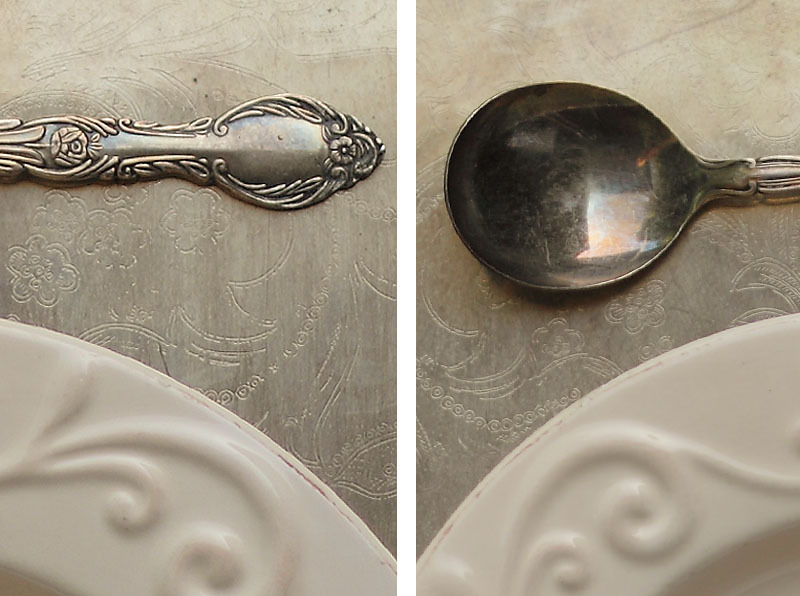 While I'm in the mood for all things cooking I thought I'd share with you some new purchases I've made. 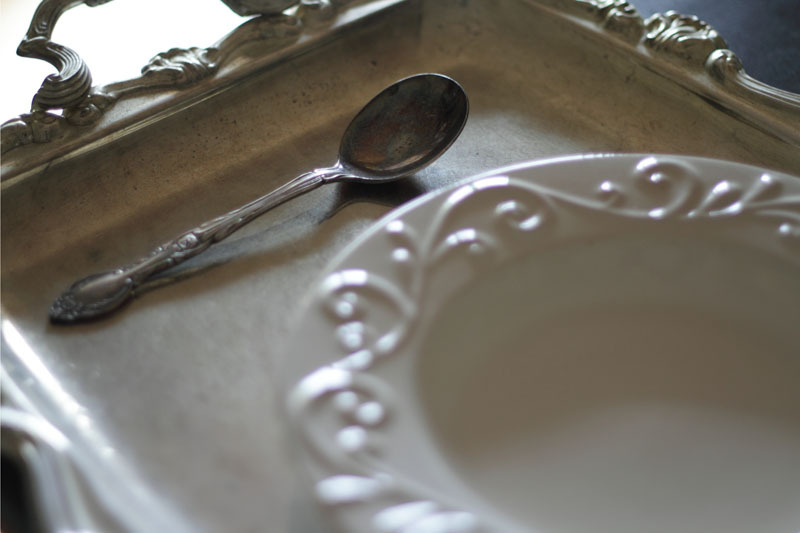 I found these gorgeous handmade plates and an antique looking spoon and tray to use on photoshoots or perhaps special occasions. Love! chilling in the fridge now ... can't wait. I love the second photo from the top :) beautiful! I'm so glad you liked my last outfit! Last year or so I saw Demi Lovato wearing a leather jacket with a floral dress and ever since it's been one of my staples. I am so in love with the tough/girly cross look about it.